This article represents a wrap up of 2017, it also sets some practical solutions to improve my translation business. A Facebook page may seem pointless but it will bring you clients if you keep maintaining and updating it. Personally, I had my first income from my Facebook page after 1 year. Do not get discouraged if people who get in touch with you ask for free services you have to behave professionally and explain that you are running a business. This is a tutorial that will guide you step by step to create a Facebook business page. You can download a high-quality cover picture from unsplash for free and use Canva instead of photoshop for photo editing which is straightforward, online, and for free. – I don’t always connect to Facebook and sometimes I respond after hours. ↪to respond faster to Facebook Page messages I activated email notification, there are other options such as auto-reply messages and more. – Facebook pages SEO is not well crafted. 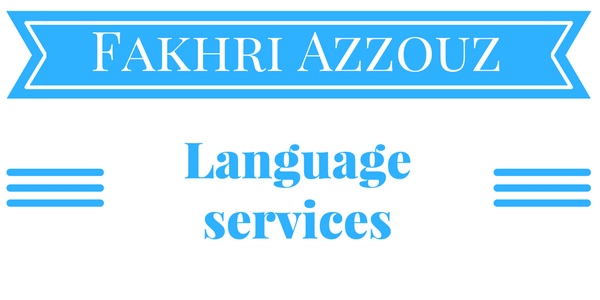 ↪For example, one of my Facebook Page named Fakhri Azzouz (my name) and the URL https://www.facebook.com/linguist.com.tn/ it is not SEO optimized. ↪Write a more descriptive name and URL to attract more clients. ↪Write Facebook my story in French, English, and Arabic for both pages to target clients who use different languages. ↪Use hashtags and proper keywords when sharing posts on my Facebook pages. + I kept investing in my tools (software and hardware) like the latest SDL software, professional OCR software (OmniPage), automatic spell checkers, a new PC, and a larger screen. If you have a home office and you are not a digital nomad a desktop PC is a great choice as it is easier to upgrade, faster, more durable, and cheaper. + I bought a Lenovo S510 ThinkCentre as it is designed for small businesses, unlike IdeaCentre which is for home use. It is essential that you do a lot of research before buying your PC. If you are not techie enough ask people who are knowledgeable about PC hardware online or offline. + I added 4Go of RAM too since I use many software at the same time and open a large number of tabs in the browser when I work. ↪ The tools I may need in the future are a UPS and a software that encrypts my work folder. ↪ Both a restore point and a backup system files drive are created. ↪ I have a laptop with necessary linguistic software installed and ready for use in case there is an unexpected issue on my main PC. ↪ In case there is an issue with my internet connection I have two backup systems ready for use. I should not neglect to create more public profiles on different websites and platforms to have a better online visibility. Even though this seems like a no-brainer, it is effective knowing that only one client can generate a considerable amount of revenue as in the law of the vital few. ↪Keep track of the sites where I created a professional profile to update my profile when needed. That is to say fine tune my profile, availability, and rate. ↪Create profiles in French and Arabic websites. These sites can range from directories, professional social network, and freelancing platforms. ↪set a Google Calendar alerts and apply at a specific time and day of the week. ↪I don’t need to overdo it applying for 2 to 3 hours a week is enough. – Applying spontaneously to translation agencies without including important information like specialties, rate, and experience. ↪Include specialties and rate in the subject line of the email. Sending emails is only applicable when translation agencies do not offer the option of applying directly from their website. It is often advised to write a summary of your CV as agencies receive a large number of emails daily from freelancers and they don’t have time to read each CV. Finally, I need to ask a few project managers that I worked with to be used as a reference even though my ProZ account shows clients and agencies that are willing to work again with me.